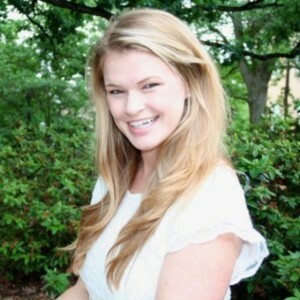 Hannah Chronis, managing editor of Carolina Weekly Newspapers, was kind enough to sit down with me to discuss her South Charlotte newspapers; how she earned the top editorial spot; and her thoughts on the industry in general. Q: Hi Hannah! 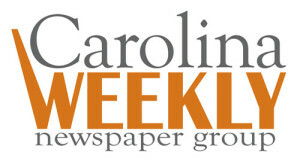 Tell us a little about Carolina Weekly Newspaper. A: Our goal is to serve our readers by providing thorough and effective coverage of hyper-local community and civic news. So at our three weekly publications — South Charlotte Weekly, Union County Weekly and Matthews-Mint Hill Weekly — and our monthly publication Pineville Pilot, we’re getting back to the basics. Q: How did you get the gig? A: I actually started as the sports reporter here. Mind you, I didn’t have a ton of experience in sports, but if you’re passionate about newspapers, community journalism and you’re a good writer you can figure it out. I might have had some help from my husband to make sure my sports lingo and analogies were on par. I did that for 1.5 years and then we had a change in management, which led to a change in our organizational structure. They chose me for the managing editor position. Q: That is awesome! And you’re managing ALL four publications? That seems like a lot. A: Yes; it’s a lot of work but it’s necessary. Given the nature of the business, and with our audience in mind, we have to be hyper-local to make sure that the news is as relevant as possible. It wouldn’t work doing just one South Charlotte paper. We have been talking about possibly tweaking our territories a bit though. Q: Tell us about your digital strategy. A: Daily newspapers are struggling, but weekly community publications are still going strong. People still like to pick it up and cut out pictures of their kids and post them to the refrigerator. We understand we need to expand our digital presence because everyone consumes their news differently. It’s a challenge for a small staff like ours, but we’re heading in the right direction. We just unveiled a new website this month that we think will help tremendously. You’ll find things there that you won’t in print. We’d love to hire a full-time person to focus on all things digital and do more with our social channels and potentially start an email newsletter. Q: Do you work with quite a few PR folks? A: You’d be shocked how often I get pitched news that isn’t relevant to our readers. There are a handful of folks that cold call and follow up a bit too aggressively as well. I get 30-40 emails a day that aren’t relevant. With that being said, I really value the way you and I have been able to work together. The great thing about the way you run your business is, if I reach out to you you’ll be sure to get back to me quickly with what I need, and you have a good feel for what we’re looking for. What you do is so important to us. We wouldn’t be able to put out a quality paper if it wasn’t for PR agencies. I love getting press releases with all the information needed to write a quality business brief with a photo. That makes my job easier. A huge thank you to Hannah for speaking with me! If you’d like to contact her she can be reached at hannah@cmgweekly.com, and be sure to mention her Pivot PR Q&A.